Euro got very close to the target levels. We can’t exclude a possibility that the pair may rebound from the level of 61.8% and start a correction. This is the reason why I’ve moved the stops on my buy orders a little bit lower, to make sure that they will earn some profit. 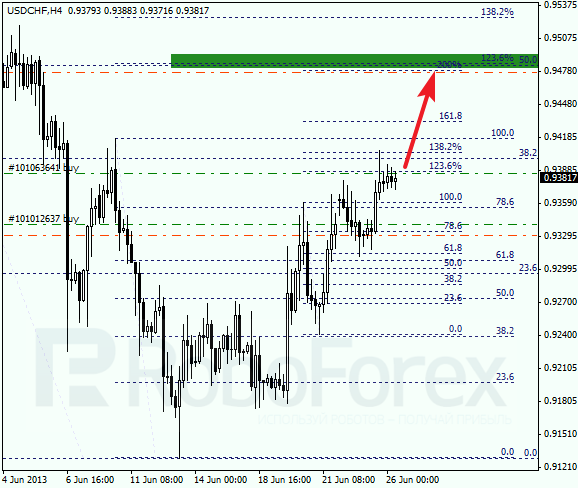 At the H1 chart we can see, that the correction finished between the levels of 50% and 38.2%. According to the analysis of the temporary fibo-zones, predicted targets may be reached during the day. If the pair rebounds from the 2.168 line, the price may start a new correction. During a pullback, I opened one more buy order and now I’ve got two of them. The target for is still the area between the levels of 123.6% and 50%. Later these levels may become a point of a reverse and a new descending movement. At the H1 chart we can see, that the correction completed at the level of 50% and then the pair broke the maximum. I the near term, the price may continue growing up. 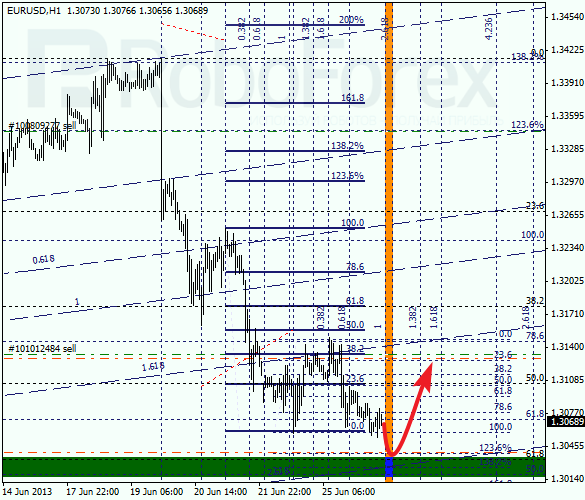 According to the analysis of the temporary fibo-zones, the targets may be reached during the day.